​​​​​​​​​​​Sergio Roffo has been inspired by the work of American traditional painters such as Inness and Bierstadt, among others. Roffo's representations of coastal landscapes reveal a luminous, masterful feeling. 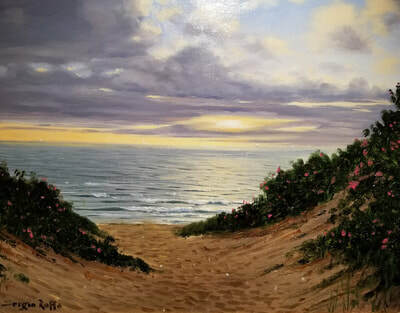 As you view his art, you will discover a precise sense of value and atmospheric perspective that conveys a relaxed sense of calmness; a characteristic that defines and informs all of his works. In 1994, Roffo was the winner of the Massachusetts Duck Stamp, winning on his first attempt, where others spend years trying. 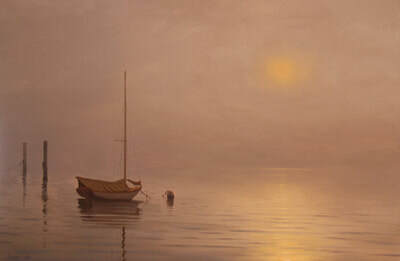 He holds the honor of being one of the youngest artists to be designated a Copley Master by the Copley Society of Boston. 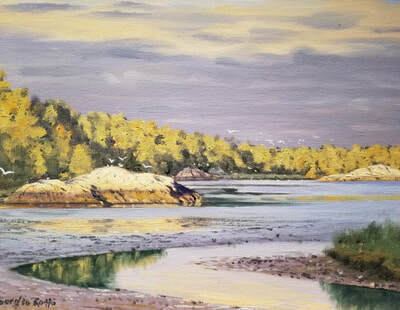 An elected member of the Guild of Boston Artists, Sergio's work is included in many private and publicly owned collections. 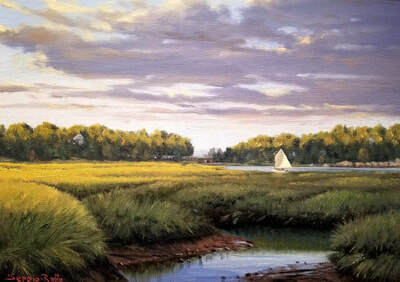 He has also been selected for inclusion in numerous publications, such as Cape Cod Life and Down East Magazine.